This map, whose most striking feature is the long distance between the two bases, thus makes the current MotWs quite space-dominating: three times in a row now, the "Map Of The Week"-winners led us into the reigns of artifical gravity and worlds of deserted space platforms. 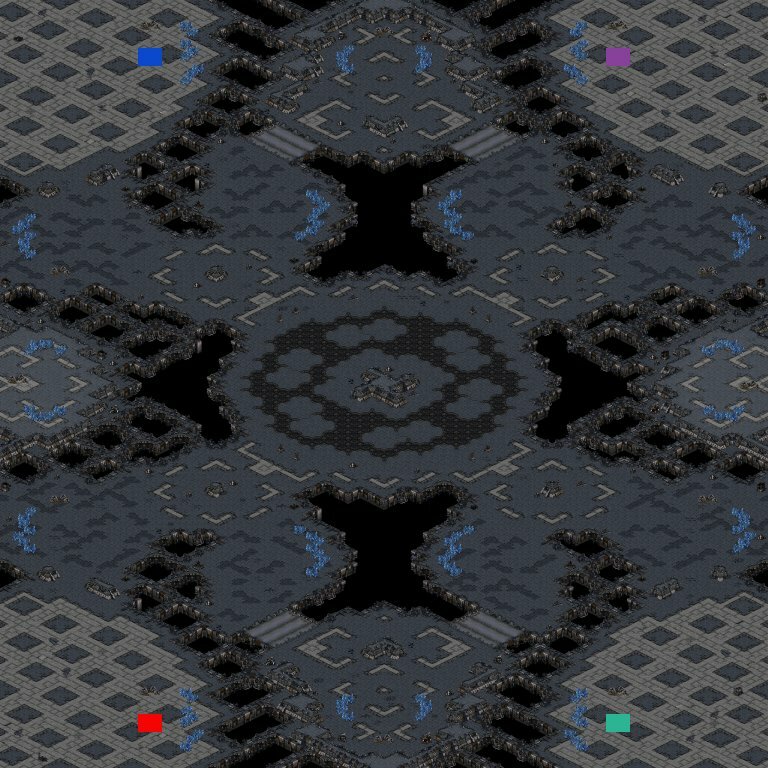 Furthermore, Arden(Wof)'s map shows a remarkable expansion layout which should provide the gameplay with some fresh and innovative tactics. So do not hesitate to get Velocity here (melee) or here (obs), and show us some replays! 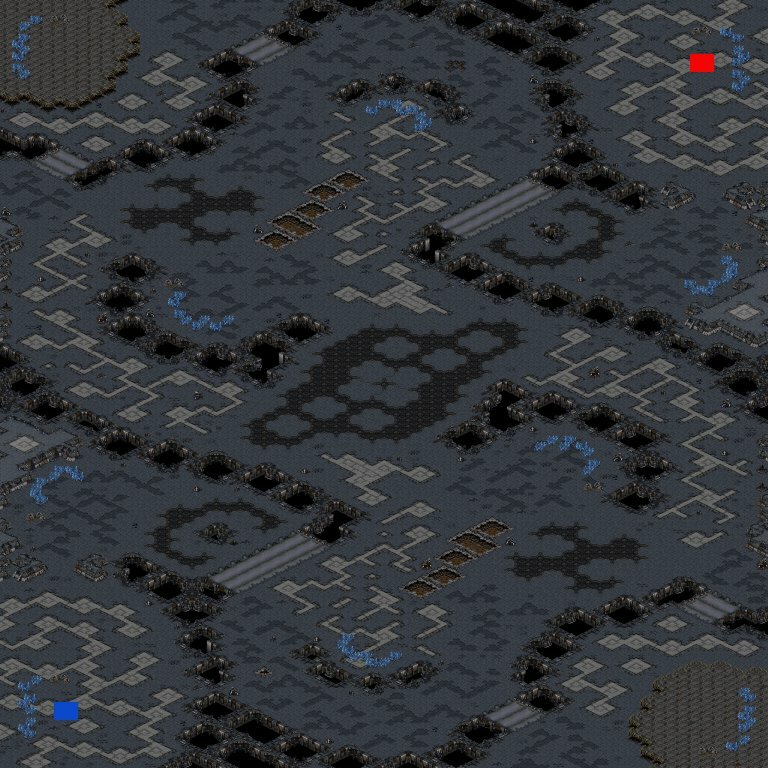 Congratulations to Arden(WoF), your map (2)Velocity is the MotW 2006.11. It was a very close decision between trcc's Conquer Fever and flothefreak's Trench Warfire. But as we can not discuss forever, somebody got to make a decision, and that is me this time;) Again it is flothefreak who comes short in a last secound decision. We have reached the 10 week mark of the year 2006, and along with it another great MotW. trcc Has done it again, adding to his already vast collection of great maps. This weeks MotW is Conquer Fever, a 4 player space map. Trcc somehow managed to squeeze 4 players onto a 96*128 size map, without making them feel cramped, and still managed to throw in some creativity. This map offers new gameplay with a min only expo inside the players main, on high ground in addition to the standard natural expansion out front. But be wary of the two bridges allowing plenty of units to come through. 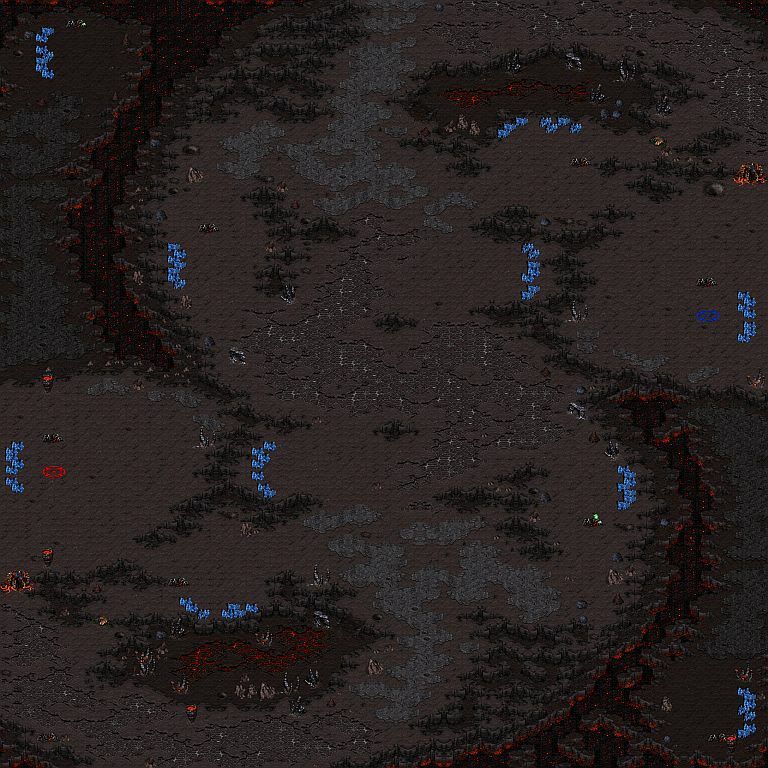 Beyond that, this map's middle has great flow and 4 more expansions (2 min only, 2 gas) ensuring many great games on this map. Comments can be found and made here. Today is a day of epic proportions. Arden(WoF) will be joining the ranks of great mapmakers here at BWMN. This will be his second MotW in 4 weeks, and he's only been making maps here like what? Two days? He is an obviously talented mapmaker with a flare for design and symmetry. And more importantly, he shows more potential for even greater maps to come. And now I should probably actually tell you the MotW, Prelude of Light. With its great flow, expansions, and overall design, it makes for a great 1v1 and 2v2 map. Get to the mapthread here. flothefreak might remind one of Yellow. Always amongst the best, wins the "special" tournaments, but never the big thing. Maps like doing_the_dying, chaos_factor, Evisceration, Outlaw_Anthem, Origo Hills were in contention regulary, but never made it in the end. Both is about to change now! 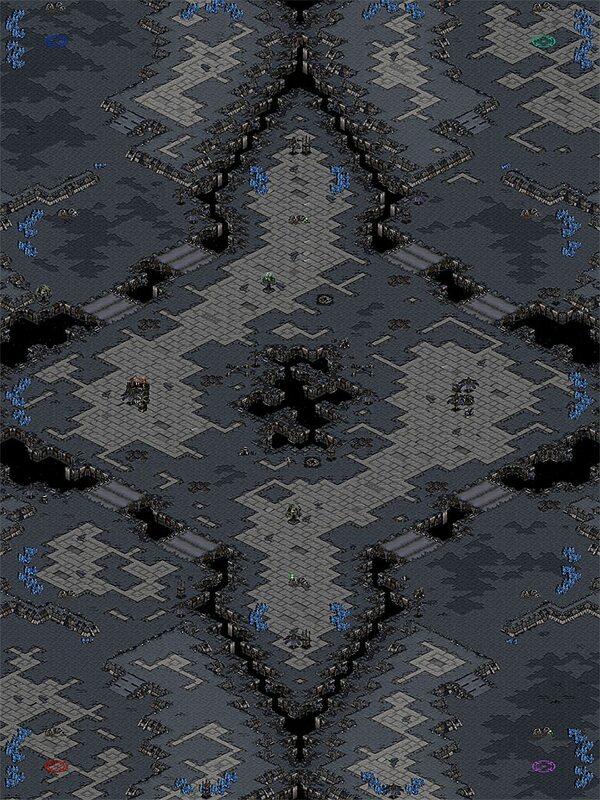 Our new Map of the week is (2)Awoken Demons by flothefreak. It features a stylish curvy layout and a backdoor entry blocked by neutral building that will not confuse unit pathfinding. I have just seen the great maps by CarTa[Astral] or Saint_Icarus that have been added recently to the database, and of course we all remember the nice maps SummerSky made a few months ago. I know that over at mapdori there are a lot of talented mapmakers and more important, awesome maps. I would appreciate it a lot if we saw more of them on the database of broodwarmaps.net. Please try to write comments in english, we are pretty tolerant for language mistakes. Most of us are not from english-speaking countries. Also do not post more than three of your maps at once, they would not get the attention they deserve.